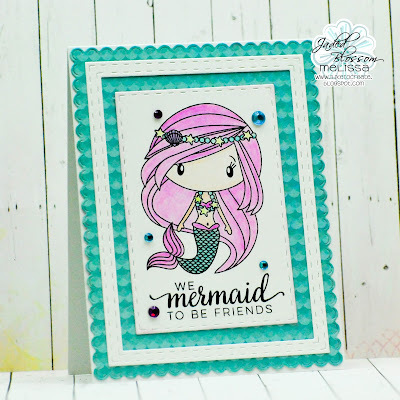 Jaded Blossom: Mermaid to be Friends! I hope you enjoyed your 4th of July holiday. I had a great time celebrating with my brother and his family! How many of you like to go and watch the big firework shows and who likes to just stay home? I love the fireworks, but I can't always get my hubby to go. It is Melissa from M Miranda Creations here to share with you today. Today I have a sweet card for you using the new Scallop Rectangle Dies 2 and Rectangle Dies 1 and 2. I have also used Mermaid Kisses. Now, I want you to know that you can use stamped images even if you don't have fancy markers. I have some EK Success and some Martha Stewart colored pencils and I used those to color the image. And, of course, these pencils don't allow all the fancy blending; but my dear friend who I am going to mail this card to will not mind a bit!!! I'm sure she will just be super excited that I have thought of her. The background paper is from Doodlebug Design. This is so sweet!! !...and great idea for those of us who cannot color!!! This is darling! 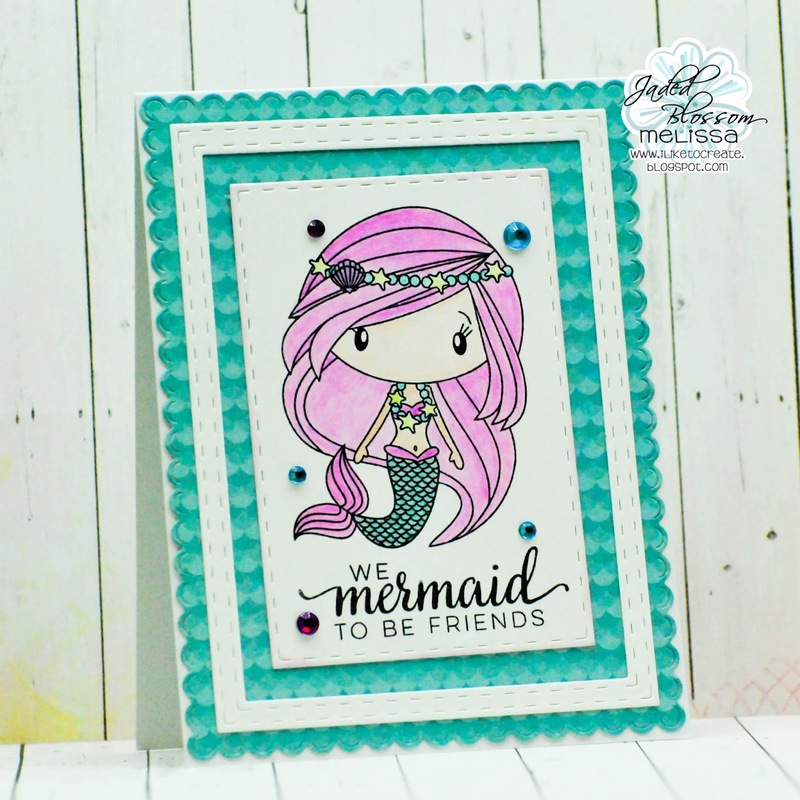 Just thought about pulling out this fun stamp set:) Love this sweet mermaid! Great job on the coloring and I love these new dies! Very Pretty! Your mermaid is adorable! !